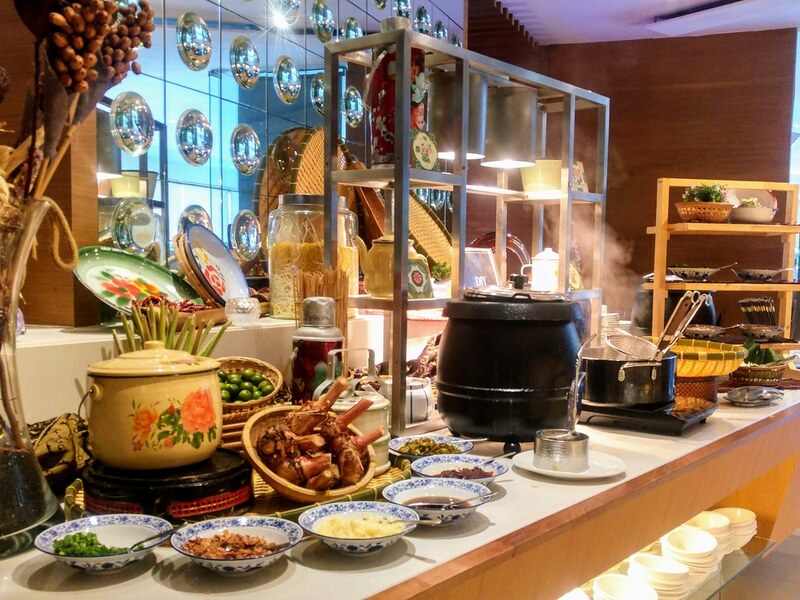 Aquamarine, the halal-certified buffet spread at Marina Mandarin Singapore changes its theme monthly, and Peranakan Delights take centrestage for the month of October. East meets West with this very well executed Salmon Fillet coated with Otah-Otah Mousse. 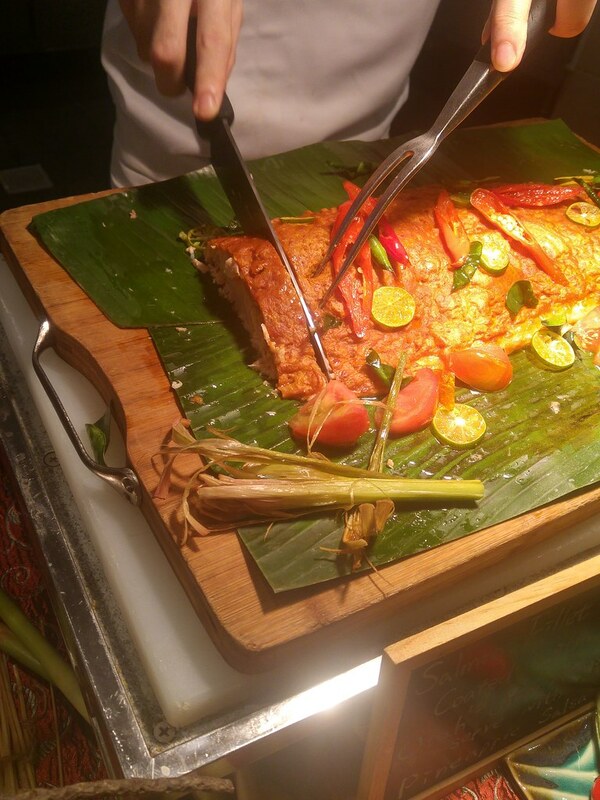 Unlike the usual Otah in which the fish and paste are mashed up, the fish is presented as a whole fillet, larded with the otah-otah mousse. The latter is crusted, forming a nice textural contrast with the tender salmon. I love the pineapple salsa at the side. It brightens the taste with its acidity. Available during Dinner Buffet is this Stir-fried Marron with Tamarind. 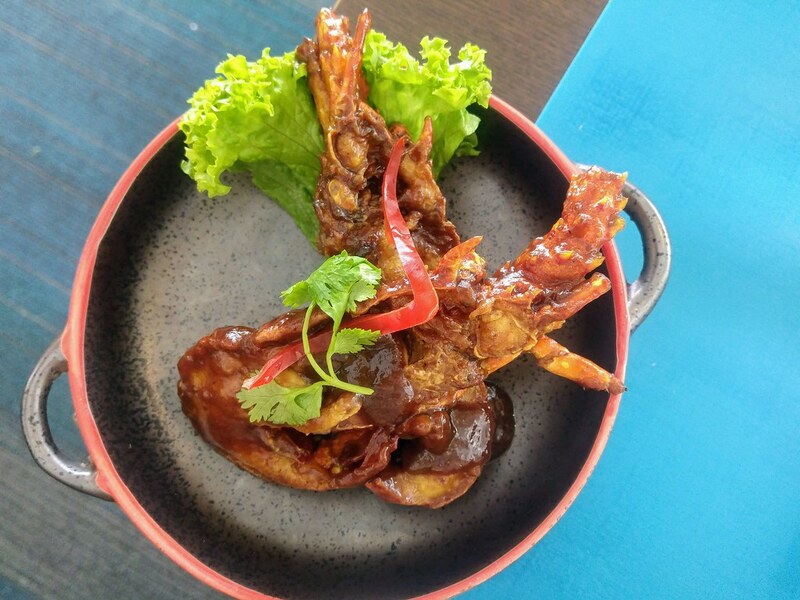 The caramelised tamarind sauce (assam) has a good consistency that coats and flavors the Marrron just right without overpowering the crustacean's natural sweetness or weighing down its flesh. 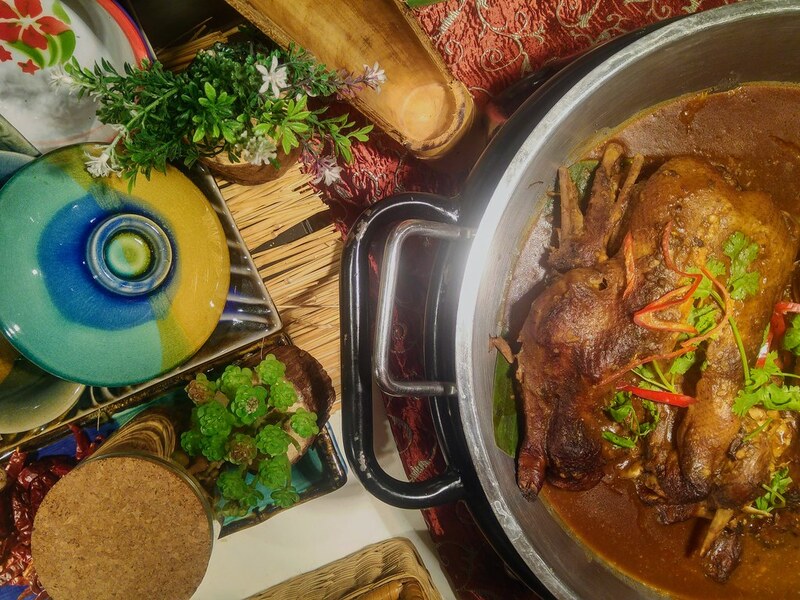 A must-have is the Nyonya Braised Duck with Tamarind and Coriander - fork tender meat with a melt-in-your-mouth skin which to me is always the best part. 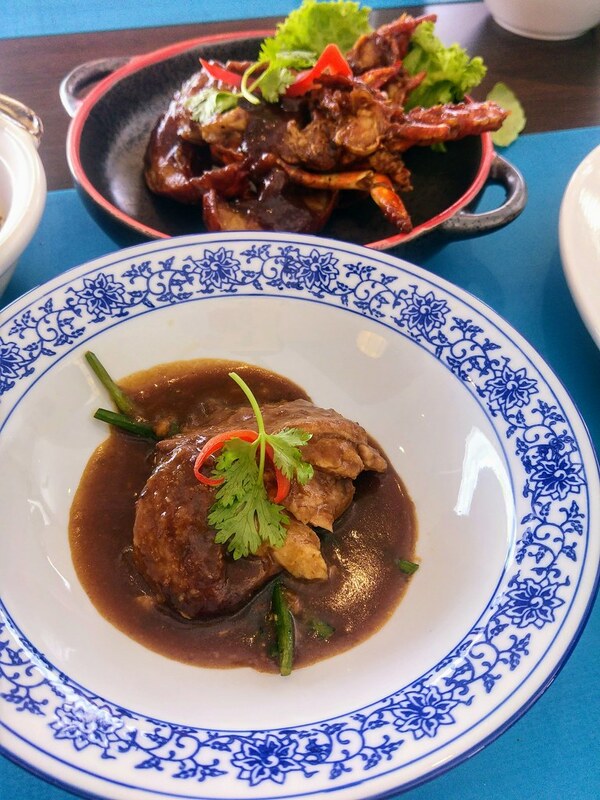 Although my portion had a great deal amount of fats underneath the skin, the piquant tamarind sauce took care of it. The sauce may look rich but it is surprisingly light on the palate. 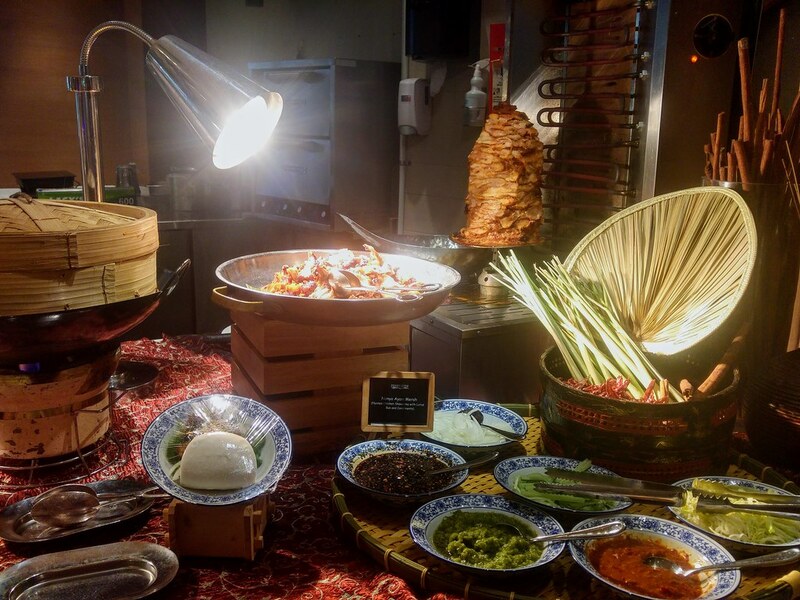 An interesting corner is the Nyonya Spiced Chicken Shawarma where you get to make your own Nonya style kebah. Shawarma preparation delivers chunks of juicy chicken thighs with a charred exterior, lending extra flavor to your bun. All the condiments on the table go well with the meat but be sure not to miss out the piquant green chilli, just to add some vibrancy to the taste. 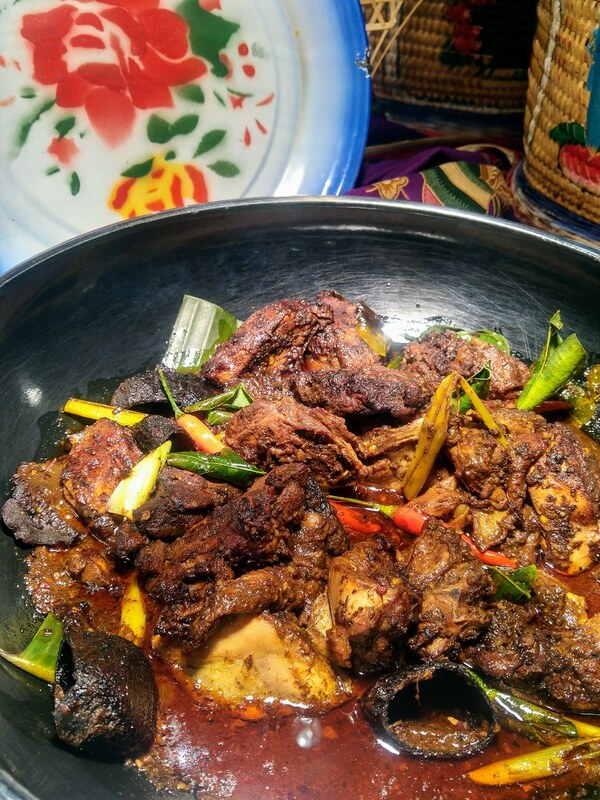 And of course, you have your classic Ayam Buah Keluak - very tender meat and even the bones seem to have absorbed the flavours of the nutty gravy. 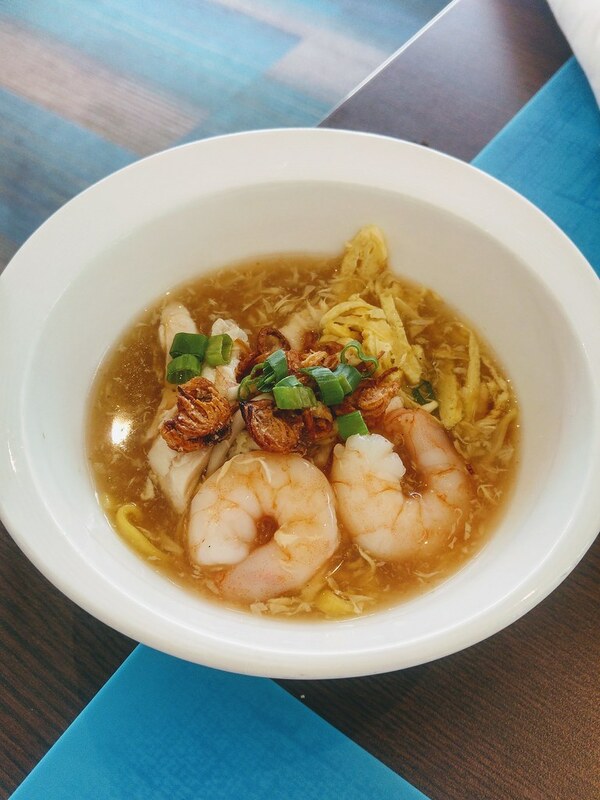 Amongst the spread, you can even DIY a traditional Nyonya birthday noodles for longevity - Lam Mee. The broth is light and slightly starchy. You can also throw in chicken, prawn, egg omelette and bean sprouts in it to go with the noodles. One of the highlights is the desserts! 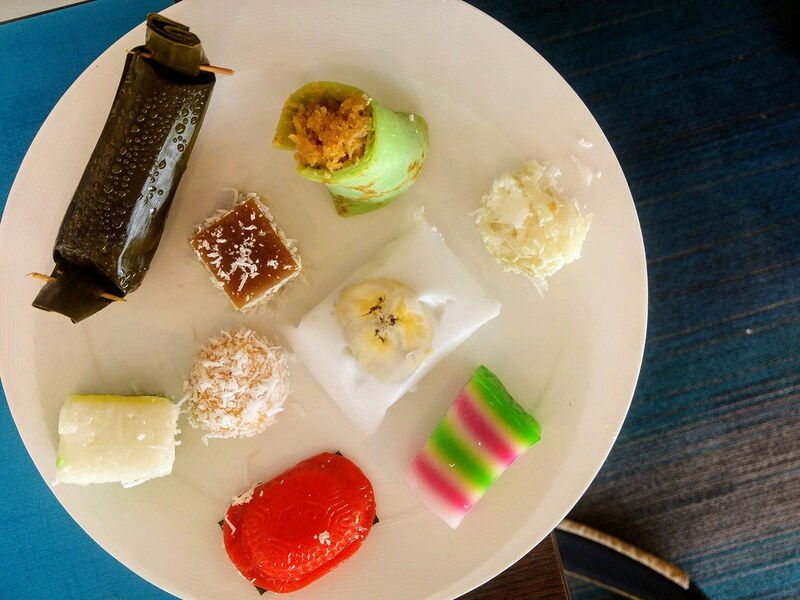 The assortment of Nonya Kuehs are decadent. I tried all and I considered them one of the tastiest in recent memory. The sweetness level is well controlled. Each is rich in coconut but not too cloying. For example Kueh Salat, the glutinous rice still exudes that natural taste of grains. Kueh Kosui has a melt-in-your mouth consistency, while the classic Kueh Lapis Sagu is tender and slightly bouncy. The savoury Lemper Udang can get a little spicy when you bite into the fiery dried shrimps filling but the sweet glutinous rice mellows it down. I like the texture of the rice too, which has been steamed long enough to break it down to almost mochi like. 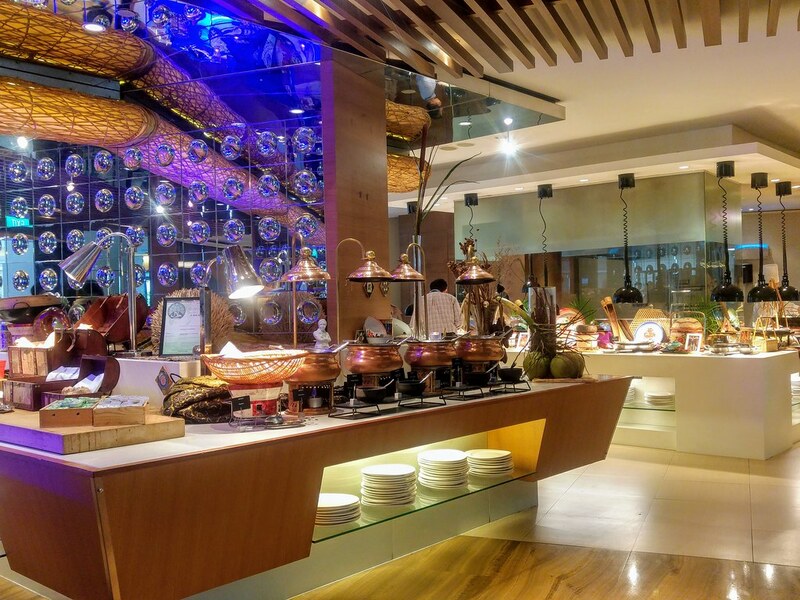 Other staples of the buffet spread are the Cold Seafood station, Indian Cuisine Station, Japanese Station, Cold cuts and salad. 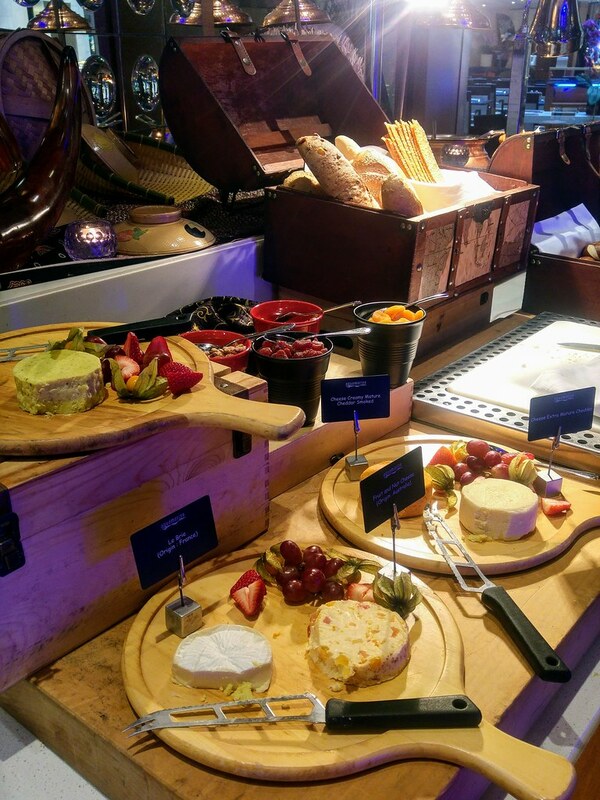 The Cheese and Bread Station is worth a visit too, with exquisite offering such as Australian Fruit Cheese and Flavored Cheddar cheese.